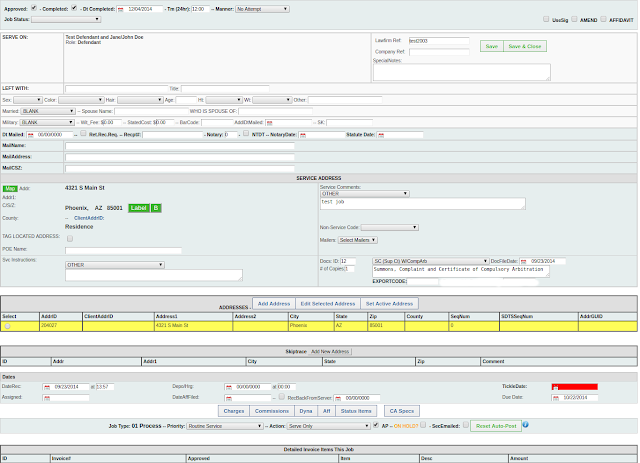 Big update happened today in the forms generation for the affidavits. We are now porting it to the rest of the forms that the program makes. This worked for many years because ldmax.loyalpuppy.com would always resolve to 50.16.184.238 - the same machine.... and its a powerful machine. But what if we wanted to run 4 code machines instead of one and evenly spread the load? Some of your offices got alot bigger and can bog down a web server sometimes. Then, at any given moment, when your browser looks for ldmax.loyalpuppy.com, it could get one of 4 different machines. So, if we generated the file on machine 1 and then your browser went looking for it on machine 2, we would have a problem. Fixing this means going through the program and having it send you a header right away and the form data without refreshing your browser. We just did this with the Affidavits and notice that since your browser isn't refreshing, that's one less call to the web server and the forms are popping up even faster! Pretty soon we will start scaling the program horizontally by adding more code servers - you probably wont notice anything since everything is already sub-second in the program, just wanted to keep you posted on whats going on and what we've been doing.